A deeply rooted part of us is programmed to seek out and explore new worlds. That aspect of our humanity dreams of setting off in search of distant new places, even when they may, or may not, exist. When the quest is very long and expensive, and the time comes to render a satisfactory account of the adventure to an overbearing potentate with a fickle disposition, we don't hesitate to lie in the most mesmerizing way. And that's how the Montreal suburb of Lachine got its name. When the impassible eponymous rapids brought the early French explorers to a full stop on the new continent, they named the place where they hit the wall "China - La Chine". There you go King Francis, mission accomplished! Finding a new route to India was another major 16th century mission foiled in large measure because the new world turned out to be not even remotely close to India. And that's how the native people of North America came to be Indians. The ultimate paradox is that when we get to these new, exotic, or hitherto unknown places, we immediately do our best to make them the same as the boring old places we left behind. Thanks to that quirk of human nature you can stroll along the banks of the river Thames in London, without ever having to leave the province of Ontario. Sometimes we are a trifle more honest and we add the disclaimer 'new', as in New York, for instance. I wish I could claim to have risen above the foibles of my ancestors, but I cannot do it. We are barely settled in here and I am on a quest to find the more iconic things I chose to leave behind, like Montreal smoked meat, of course. Please don't imagine me as a semi-crazed lunatic, wandering the streets of Toronto with a frantic twitchy face mumbling to myself incoherently. But a quest is still a quest, no matter how casually it is undertaken. 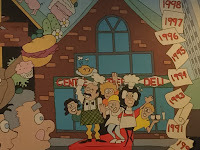 Susan mentioned to me that her colleagues at her new job had mentioned to her, that there was a deli patterned closely on the Snowdon Deli right here in Toronto. What choice did I have? I had to go. The Centre Street Deli is in Thornhill, one of the northern suburbs in greater Toronto. It isn't shy about its links back to the Snowdon Deli in Montreal. I should say right now that I am not particularly a fan of the Snowdon Deli, well, not a fan of their smoked meat. 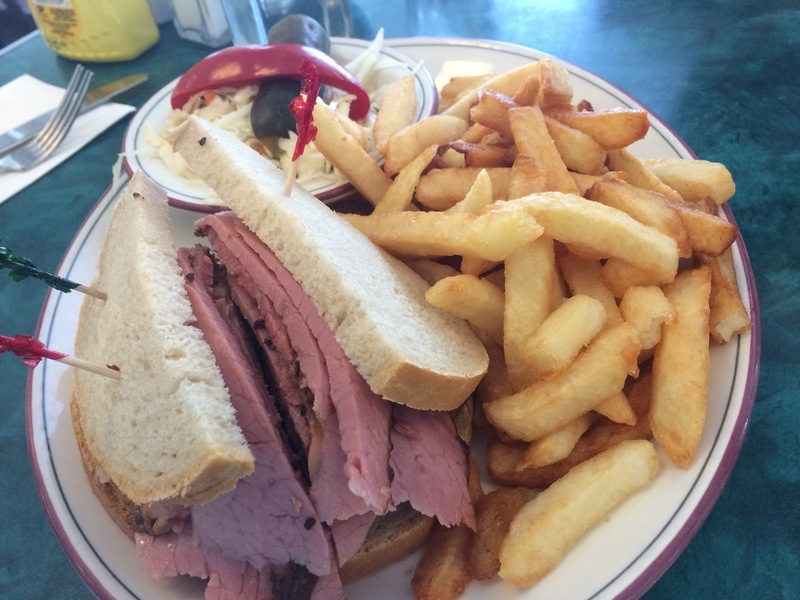 Here's a tip for you, should you find yourself on a quest for Montreal smoked meat. If the menu offers a choice of 'regular' or 'old fashioned' smoked meat, you haven't found the real thing. 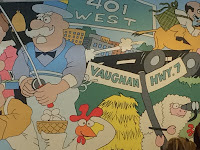 What you have found is the formulaic smoked meat that the majority of delis in the province of Quebec offer as 'smoked meat', and what most delis in Canada that claim to offer 'Montreal smoked meat' will serve you. 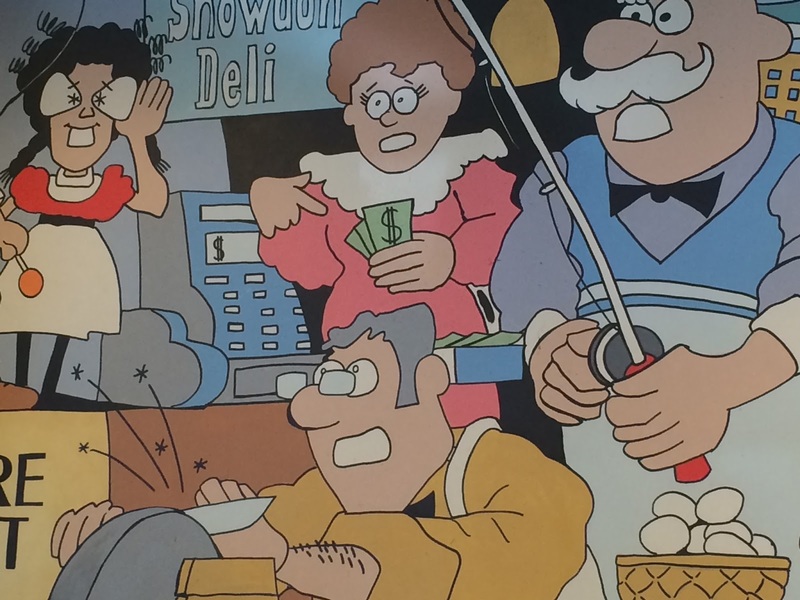 The Snowdon Deli is no exception. 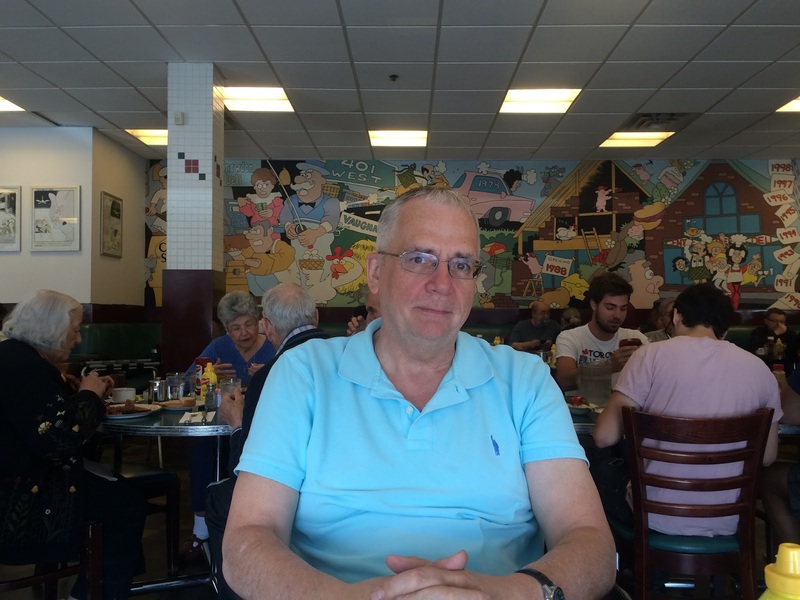 Even the old fashioned smoked meat tastes like it was pickled or brined, it has a slightly rubbery texture, and even if it kind of smells right, and tastes familiar, it is a pale, pale, pale commercial processed imitation of the real thing. 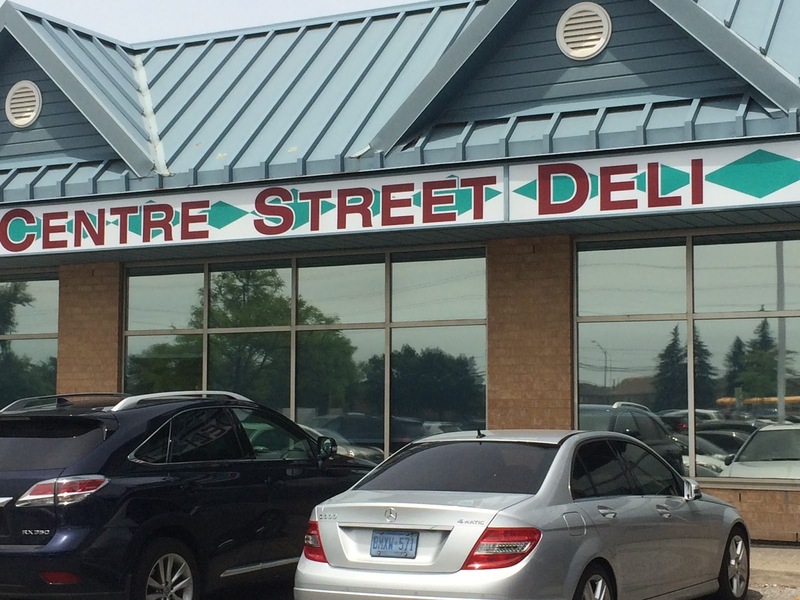 In this, the Centre Street Deli has nailed the Snowdon Deli experience. 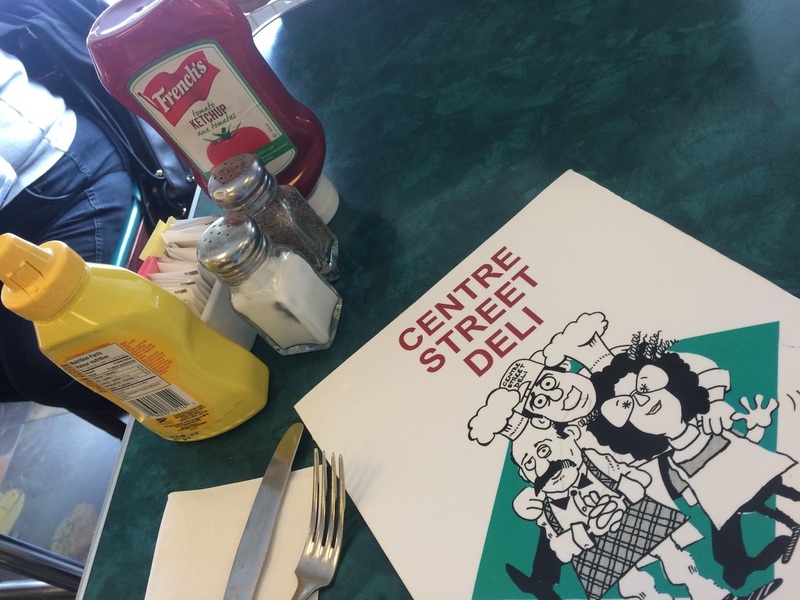 The Centre Street Deli is very much a faithful copy of the Snowdon Deli in nearly every way and for that the owners earn well-deserved kudos. The restaurant and the deli counter offer an experience so similar to the experience you would have at the Snowdon Deli that it really is quite astonishing. 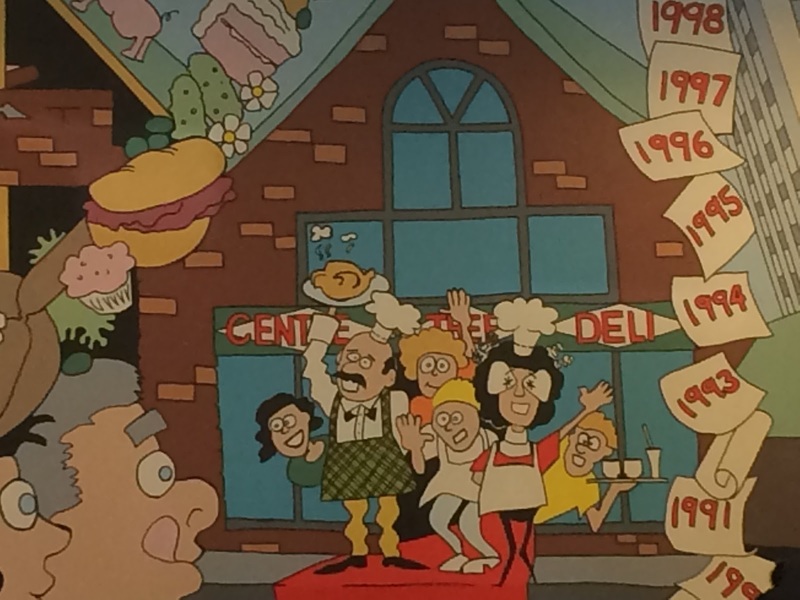 The main differences are that the Centre Street Deli has oodles of convenient free parking in a strip mall, whereas finding convenient parking at the Snowdon Deli is a fool's errand; the Centre Street Deli is newer and bigger than its Montreal forebear; and the Centre Street Deli has a huge mural paying tribute to its Montreal roots. I could have ordered anything and been perfectly satisfied, but really, how could I not order the smoked meat? Even if I was fairly certain that it would fall well short of the mark. The smoked meat was as close to true Montreal smoked meat, as the Thames in London Ontario is to the Thames in the Queen's London. 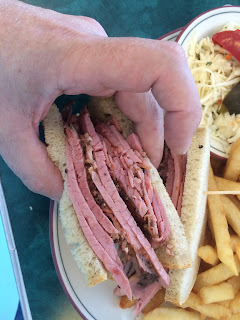 Another tipoff, is that no self-respecting smoked meat place in Quebec would ever, ever, put toothpicks in the sandwich to hold it together. Like never, ever. Tsk, tsk. And so the quest continues, though I must admit that I don't hold out much hope. But there is hope, yes there is hope. 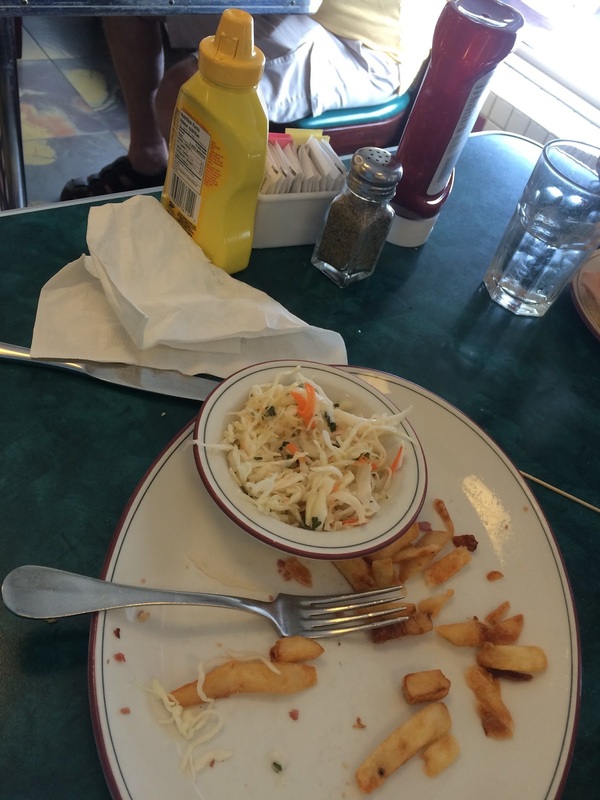 And it's not like I didn't eat the sandwich. I did, and I left satisfied with the experience. After all, real Montreal smoked meat is a much sought after and truly rare delicacy for good reason. If it were readily available everywhere, would be it be anywhere near as desirable, as quest-worthy? Looks pretty good but ... sorry if I'm gonna clog my arteries I choose pastrami from Katz Deli. I only have to have a hit every couple of years or so. Hey, it's been a couple of years ... nah, not taking any detours now. Good luck on your quest, they don't call it Montreal Smoked meat for nothing you know. Once again, new things learned. This blogging thing is an education that I very much appreciate. Thanks David and yes, good luck on your quest. We always seem to seek out, or reproduce what we liked or miss dearly... for us it was German bread back when we lived in Canada. 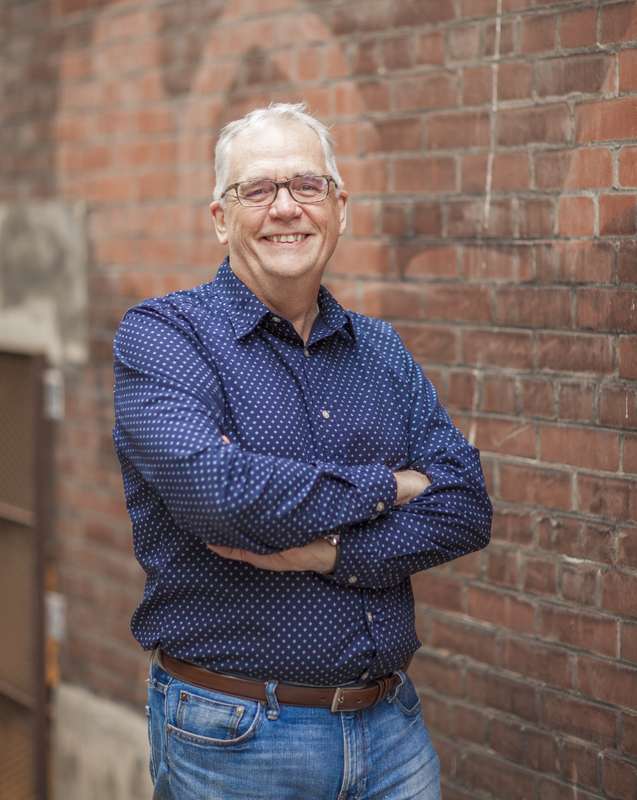 Our quest in Calgary lasted over a year, and then we called it off and started baking our own.... ;-) Well, David, I guess it was worth a try and hey, maybe you will find the holy grail of smoked meat in Tronna one fine day. Or maybe discover something utterly different? Dom that's not a bad test. The Reuben sandwich is a staple in most delis all over Canada and the US. It's a good choice as a benchmark. A natural mistaken identity, quite understandable. Interesting... that's an additional vote for Katz Deli. We were in a local Benjamin Moore store getting some paint tweaked, and Susan was enquiring where to get Montreal bagels (I'm not the only expat on a quest). Once the topic of Montreal got going, Susan mentioned my thing with smoked meat, and the guys in the shop all agreed that my next stop should be Katz Deli. In due course I have no doubt you'll read about that here. Thanks Doug, and fresh congratulations on Hanna's success! If you've never had Montreal smoked meat, think like the real-deal New York City pastrami, identical presentation, just with a different blend of spices. Really good pastrami is just as hard to find. That's a stretch, but the brightest hope, that I'm saving for later, is Dunn's on King street. It's a branch of the Montreal Deli by the same name, and their Montreal branch downtown is among the few places that serve really good smoked meat. Believe it or not, I am toying with the idea of making my own.